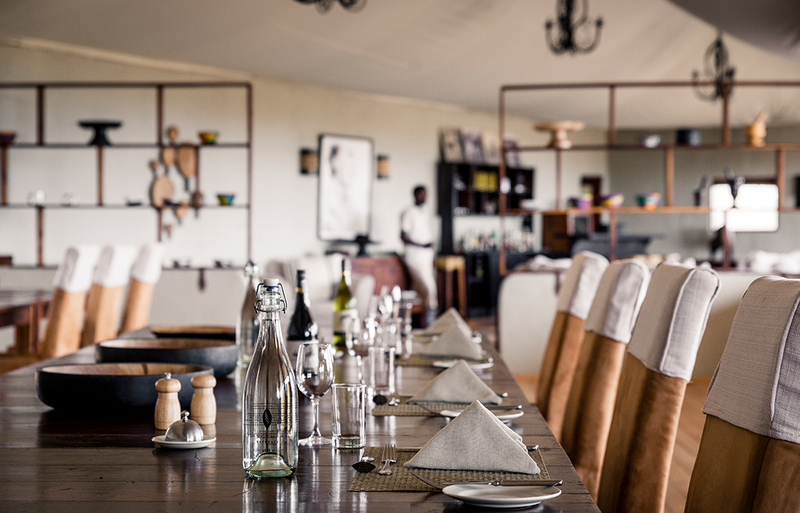 The only permanent camp in the Serengeti's remote south, Sanctuary Kusini has the privilege of overlooking predator-populated plains where game viewing is in high-definition throughout the calendar. 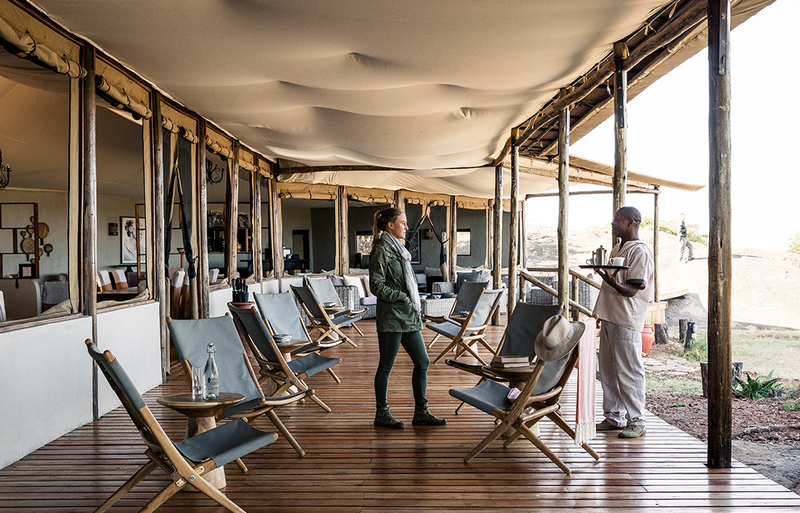 The main lodge is set around a cluster of spectacular kopjes — rocky outcrops — so at Sanctuary Kusini you don't just have front-row seats for when the Great Migration passes through at full throttle, but you can ogle game congregating on these grassy plains year-round. 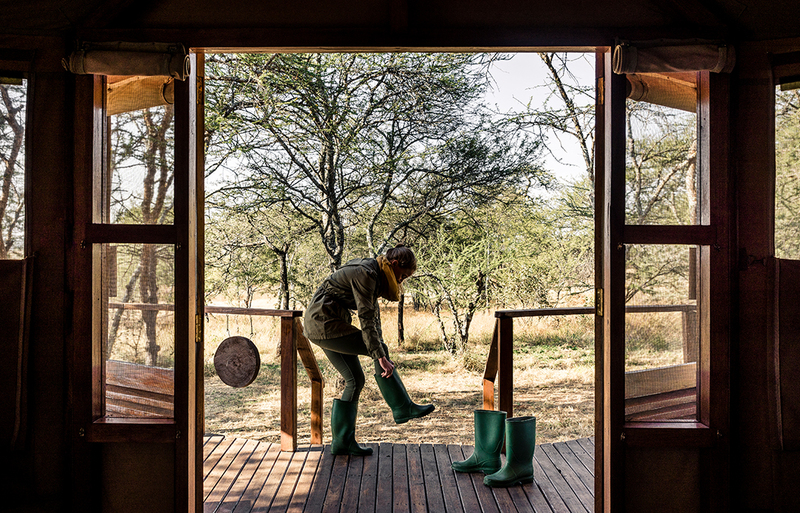 Look up and spy a leopard relaxing in an acacia tree, then after dusty days, escape to the peace of this charismatic camp's 12 restyled open-plan en-suite tents with their wooden floors, neutral tones and shades of green complementing the natural African setting. 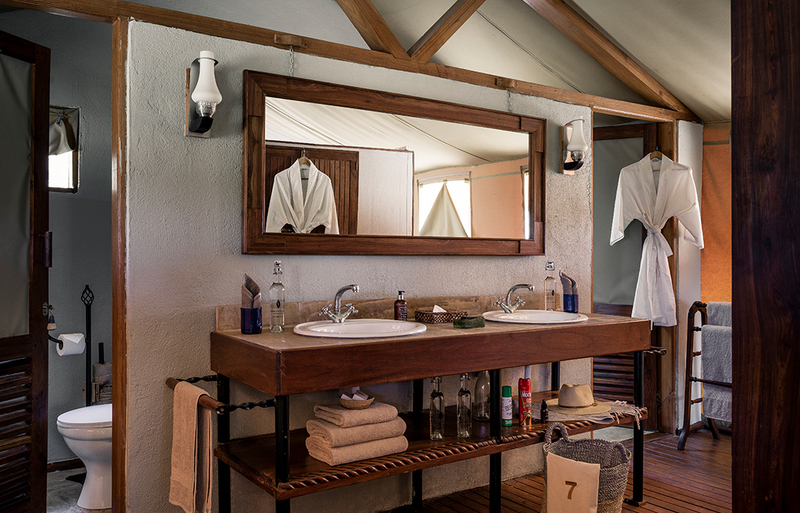 You can spot zebra, buffalo, lion and other characters from your large private wooden veranda, any time of the year. 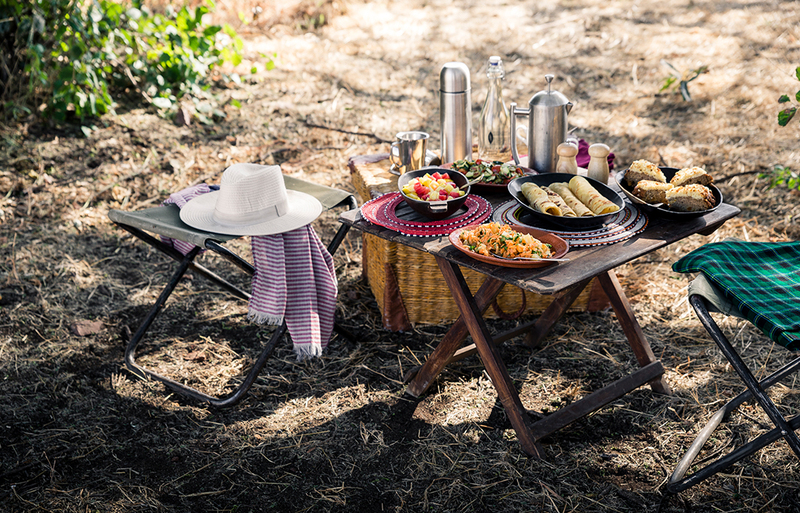 The rustic spirit of this intimate camp is totally in tune with local life and the magnificent East African landscapes, while the reimagined tents promise above-and-beyond luxuries. Three-course suppers are served under the stars or in the central mess tent. Drift to sleep in the tents' super comfortable beds, which have been crafted locally by hand. It's hard not to have sweet dreams when there's a soundscape made up of the sounds of hyenas and the spine-tingling sounds of the bush. Amid wide open spaces with much to see and below star-filled skies by night, African adventures are waiting for honeymooners, anniversary celebrators with dream marriage-proposal scenarios. 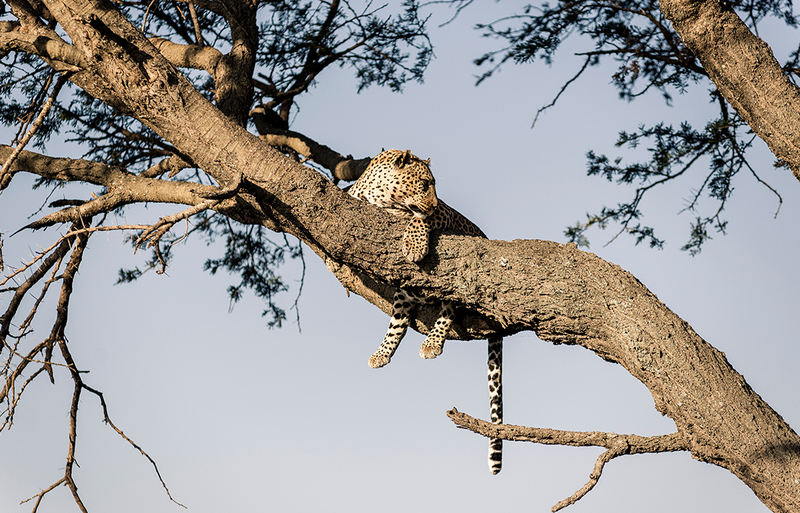 The name Serengeti comes from the Masai word 'Siringet' meaning 'endless plains' and Kusini means 'south' in Swahili. 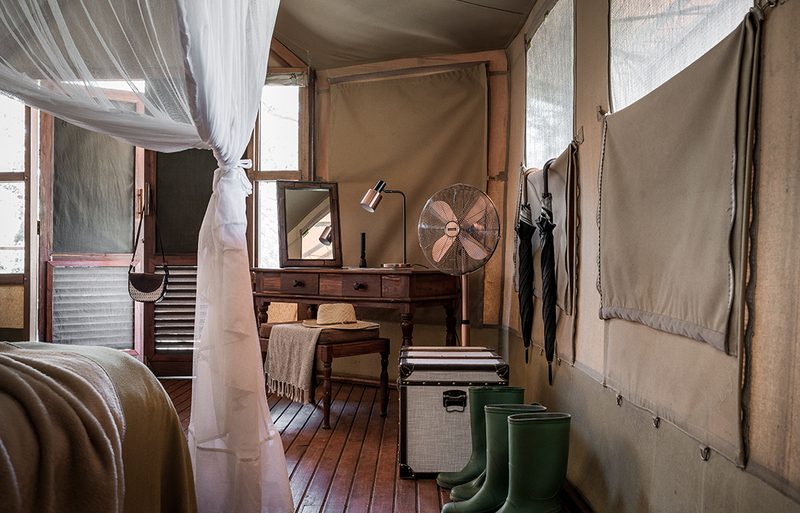 Hide away in your raised wooden-framed private tent, with only pristine fly sheets and canvas between you and the great outdoors. Electrical geysers have recently been installed to minimise the use of firewood so that we water is heated in a more environmentally friendly way. Nature doesn’t provide theatre much more dramatic than the sight of East Africa’s herds of wildebeest and zebras on the move. This spectacle stretches over nine months as these mighty mammals move through the Serengeti into Kenya’s Masai Mara and the air is filled with the sound of their snorts and thumping of hooves — but this is just one act in a year-round epic wildlife performance. Wide-eyed wonder is assured as children, their parents and grandparents too get up close to Tanzania's flora and fauna together. 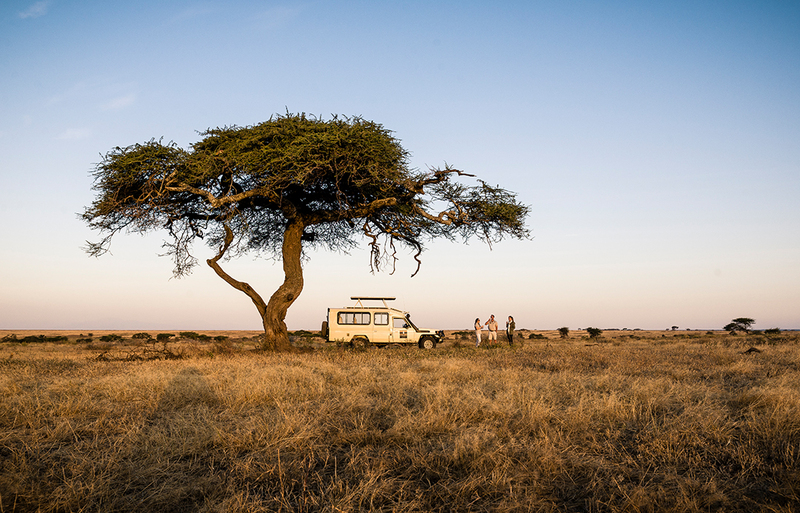 There's no more special family experience than hearing folk stories, first hand, from the Maasai. Tales as old as time are shared by those in traditional attire best known to be clutching spears and hunting by bow and arrow in the African bush. Guests are invited to help track cheetah in one of the few remaining natural ecosystems where the world’s fastest land animal exists — these southern plains are this large cat’s last stronghold. Sanctuary Kusini and its guests’ work closely with the Serengeti Cheetah Project to help monitor the demographics and activity of these fine felines. Sanctuary Kusini has long been a proud supporter of this charity which has been running for more than 30 years. To view the full range of Sanctuary Kusini images, please click here.